HONOUR YOUR THOUGHTS IN THE NEW YEAR! The first of January marks the time of the year when many people make new resolutions to change their lives in some way. As mentioned on page 89 of “Winning with Honour”, it is important to honour our thoughts as they affect our choices and actions, which then affect our destiny. We also need to be mindful about what we focus on because that will determine our thinking, which will determine our choices, which will determine our actions, and ultimately shape our destiny. So if we focus on the good, we will think good, be good, do good, and will naturally reap good! The importance of why it is in our best interest to make a conscientious effort to think honourable, positive, and life giving thoughts, is powerfully illustrated by this video of the work done by Masaru Emoto. Masaru Emoto (22 July 1943 – October 17, 2014) was a Japanese author, researcher, photographer and entrepreneur, who gained worldwide acclaim through his groundbreaking research and discovery that the structure of water is deeply connected to our individual and collective consciousness. Emoto conducted experiments by exposing water in glasses to different words, pictures or music, and then freezing and examining the aesthetic properties of the resulting crystals with microscopic photography. Emoto’s photos showed that when the water was exposed to positive speech and thoughts visually “pleasing” and well defined crystals were formed, and when negative thoughts and emotions were focused on the water, or when the water was blasted with heavy metal music or labeled with negative words, the water displayed chaotic, fragmented structures. As shown in the video above, water is responsive to our every thought and emotion. Considering how our bodies are on average 60 percent made up by water, and keeping in mind how every human being has not only a body, but also a soul and spirit, it is of upmost importance to guard our thoughts and intentions, as the unseen realm has an impact on the seen realm. 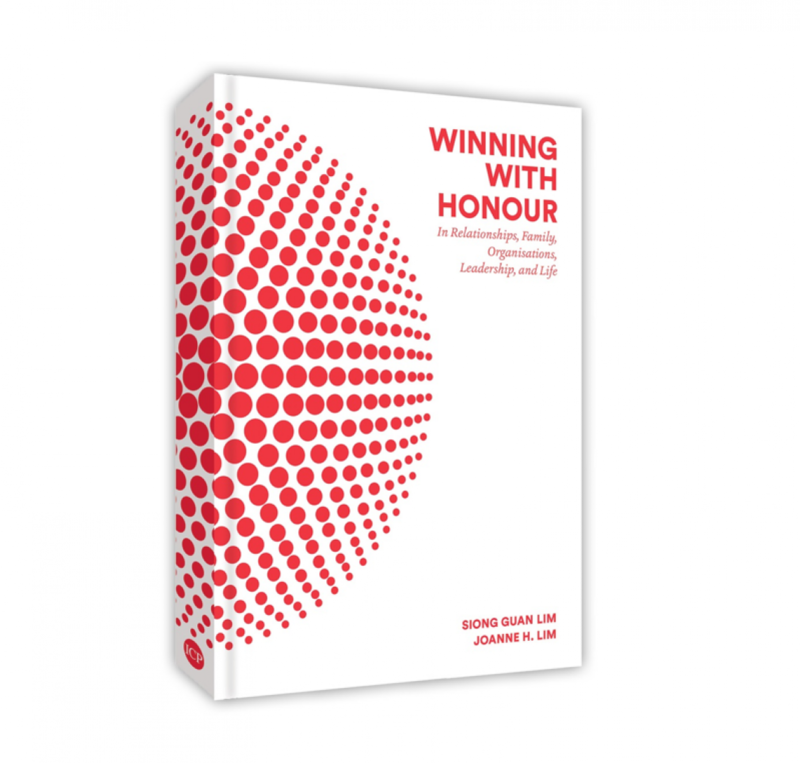 Consider the research of Dr Caroline Leaf, a cognitive neuroscientist with a PhD in Communication Pathology specializing in Neuropsychology, which we referenced on page 91 of Winning with Honour. We may have a fixed set of genes in our chromosomes but which of those genes are active and how they are active has a great deal to do with how we think and process our experiences. Our thoughts produce words and behaviours, which in turn stimulate more thinking and choices that build more thoughts in an endless cycle. So, it is the quality of our thinking and choices (consciousness), and our reactions that determine our “brain architecture”—the shape or design of the brain and resultant quality of our minds and bodies. And not only does our thinking and feeling affect our choices and reactions, it also affects our DNA! In an experiment done by the Institute of HeartMath, it was found that the DNA changes its shape according to the feelings of the researchers—when the researchers felt anger, fear, frustration, or stress, their DNA responded by becoming shorter and many DNA codes were switched off; however, when feelings of love, joy, gratitude, and appreciation were felt, the shutdown was reversed and the codes were switched back on. Wishing all our readers a fabulous 2017 filled with good health, peace, truth, love, and joy! May you believe that the best is yet to be!